To be honest, new restaurants and bars are proliferating in Glasgow faster than the 5pm Dining blog can scribble them up. No sooner do we hit the publish button then something else pops up – all testament to the incredible vibrancy of Glasgow’s dining out scene. Why the city doesn’t adopt the slogan ‘Glasgow scoffs better’, I’ll never know. 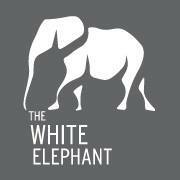 So, in the Southside, The White Elephant has taken over the premises formerly occupied by the the Merrylee Road Bar and Kitchen. Dishes such as pan-roast duck breast with shredded duck cassoulet and carrot purée are among the attractions. You can see one of their menus here. Another Southside newcomer is Jayz Bar and Kitchen on Kilmarnock Road. Open around six weeks, it aims to pull in the customers with cocktails, dancing, DJ sets, open mic nights and a food menu which includes steaks, chicken skewers, pizza, burgers and our old friend fish ‘n’ chips. Moving back into the city centre, Jacker de Viande was pencilled in to open this week on West Regent Street. According to their internet blurb, cocktails, meat and love are their key selling points. We have yet to verify this but suspect that burgers may be involved.